Steep slope roofing systems are commonly found installed on homes throughout Genesee County, Michigan. 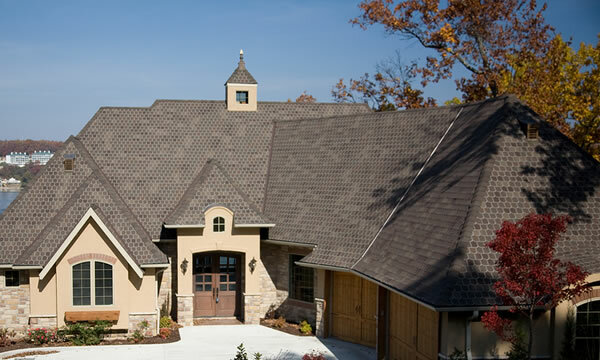 A Better Roof For Less has extensive experience with steep slope roofing projects and can bring our years of roofing experience to your project. The slope of a roof is also referred to as the “pitch” of the roof. The slope, or pitch, is determined by the vertical rise in inches for every horizontal twelve inch (12″) length (called the “run”). A roof with 6 rise/12 run slope means that for every 12 inches horizontally (run), it rises 6 inches. Safety is obviously a major concern on a steep slope roofing project and we don’t cut corners. We are fully licensed and insured and our professional roofers have been properly trained working on steep slope roofs. Whether you are a builder, a homeowner, or a property owner you can rest assured that your steep slope roof repair or replacement will be handled professionally and completed to your local building codes. Addition of Correct Venting if not present. Quality Roofing Material (of your choice). All Roofs Projects Exceed County Codes. We know you’ve probably taken great care of your property and we’ll protect it as if it were our own. We’ll be sure to leave zero trace of our presence aside from your brand new roof. We’ll use a magnetic roller to clean-up any nails that may have fallen on the ground and we’ll even clean out the gutters of any debris from installing your new roof too.